Extra: Official chainsaw controller (sold separately) in Japan only. 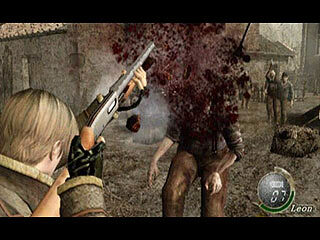 "Resident Evil 4 marks a terrifying new chapter in the world renowned Resident Evil series- exclusively for the Nintendo GameCube. 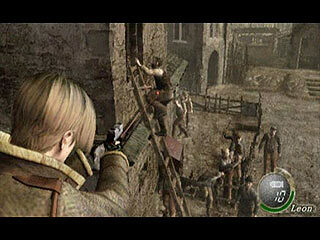 Players rejoin Leon S. Kennedy, six years after his first mission as a rookiecop from Resident Evil 2. 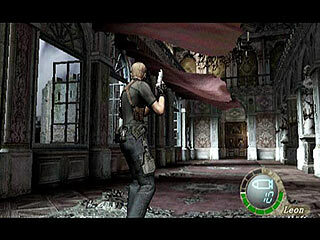 Now as a U.S. agent, Leon is on a top-secret mission to investigate the disappearance of the President�s daughter and has made his way to a mysterious location in Europe. 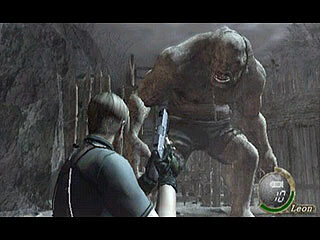 As Leon encounters unimaginable horrors, he must find out who or what is behind everything." 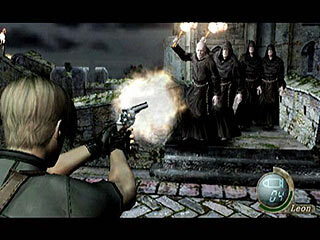 - Innovative 'A' action button allows players to perform various actions"
Beatiful graphics, sounds, music, and gameplay. I wouldn't give it a ten though. More like a 8.9 or a 9.1. Lack of strafing bothered me, there are many situations where it would've been useful, or at least a hop to the side would've been nice. Also, lack of realisticity of the guns was bothersome. An ordinary shotgun with a laser...riiight. Story was sort of silly as well. 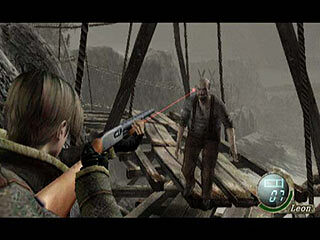 I didn't like how they played out the reunion of Ada and Leon neither. 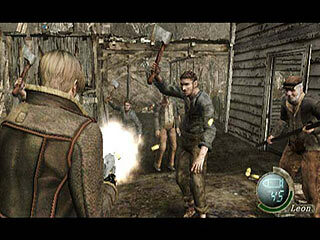 All in all a great game, but I still prefer the original Resident Evil anyday. Final Statement: (8.9)9(9.1) out of 10. Over here in the States you can get this wonderful game for just a mere $20 now. Check it out! This is so good I'd play it more than twice; graphics is so crisp it feels it's perfect. 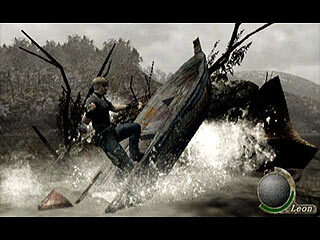 It's my birthday in 8 days and I've already got Resident Evil 4, but I have to wait till then! I've got most of the other games but these pics have got me wetting myself with anticipation. 8 days... days... man, I just can't wait!! Aaaahhhh!!! 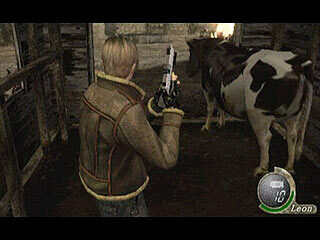 Hands down, one of the most entertaining games for the Gamecube. Pure, sadistic, deranged delight. If you have a GameCube and don't have this game... you're insane. 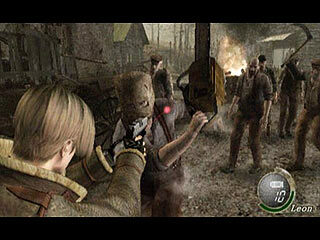 Heck, you're insane if you haven't bought a GameCube for Resident Evil 4. 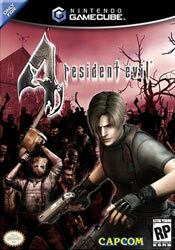 Capcom has done an awesome job; this game is one of my, if not my most favorite game ever. 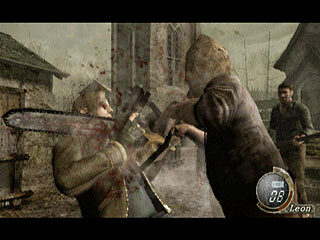 If you haven't played it you are missing out big time and as flaws go you're not gonna find 'em, as X-Play said "finding a flaw in RE4 is like finding a truck driver in a yoga class, it ain't gonna happen". But what are you looking at these guys for ? 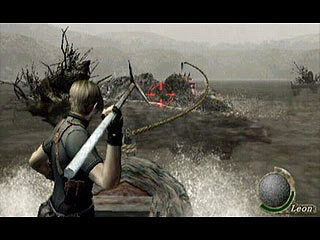 Go play RE4. This game is literally heart stopping! I almost fainted every time they would attack me! 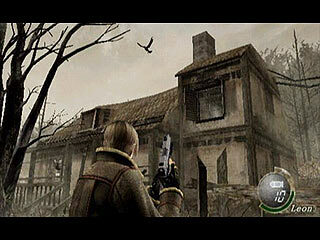 This was the first Resident Evil Game I ever played, and I'm glad I did! 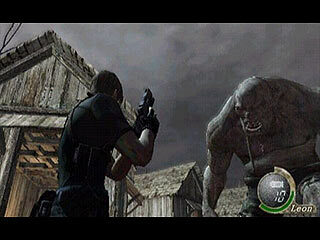 First of all I would like to thank your website for the sreenshots and I love your site and secondly I think this upcoming Resident Evil will be the best in the series no pre-rendered backgrounds all in lush 3D and it looks like a heart stoping game and of what i have seen up to now I am giving it a 10/10. I'd like to say i got some new screens of the game and they look awesome even better than before I don't know how Capcom have pulled this off but its certainly a GC hardware maximiser. 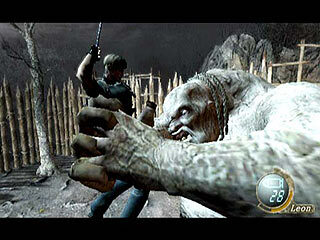 Not only am I a WWE fan, I am a really big Resident Evil fan. I have all the games besides the ones for PS2 and Dreamcast. I was kinda upset when I found out I have to wait until 2004 to play it. 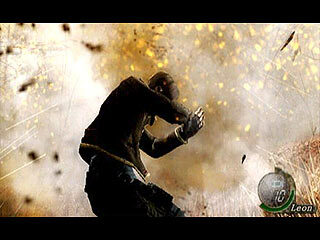 hopefully, it will be in the beginning of the year and I hope that while I wait, there will be a demo. Well thanks for hearing me out and giving me this chance to say what i wanted to say.